Whenever we hear someone talking about Lucknow, immediately a few words come to our mind. These few words include Chikan, Chicken, Imamabara, Shaam-e-awadh, and Tehzeeb. This is very common because the city of Lucknow has a very glorious past. All these words are closely associated to Lucknow’s glorious past and contemporary adaptations. Lucknow doesn’t stand for being merely a city, it is a house of emotions. Lucknow depicts a perfect blend of modernity and culturalism. Lucknow’s rich culture and heritage are credited to the Nawabs of Lucknow. The Nawabs of Lucknow, who ruled the region of Awadh, were great patrons of Art. The beautiful architecture, delicate chikan handicraft, Awadhi music, and traditional food is a gift of the Lakhnawi Nawabs, whose reminiscence is still witnessed in the city. In fact, these things are a matter of pride for each person living in the Lucknow city. There are certain things, which are peculiar to the identity of this city. 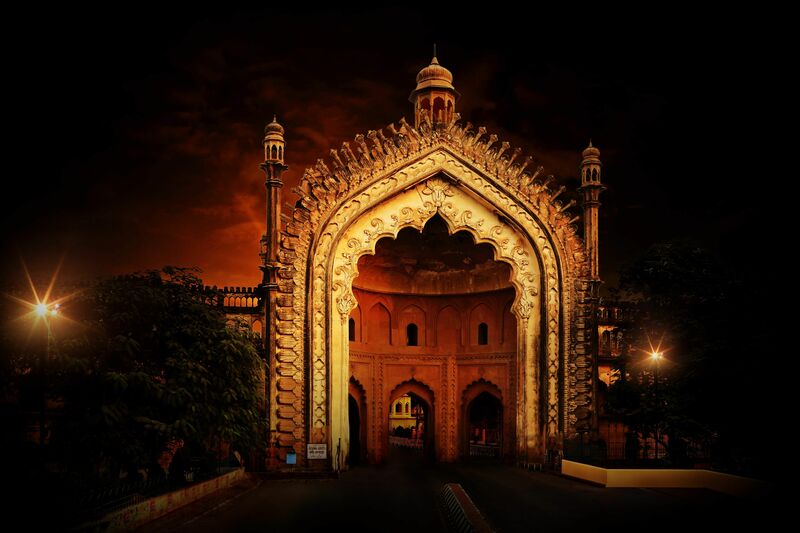 These special things about Lucknow, make the city more of an emotion than a place to live in. Everybody knows that Lucknow is the hub of beautiful monuments which stand as an epitome of creativity. But, there are some creative delicacies like the Moti Pulaw to add more glamour to the Lucknow city. Moti Pulaw is a special thing about Lucknow. It is a pulaw (rice preparation) in which paneer or meat is rolled in the form of a ball, covered by a silver varak (silver foil), giving them the appearance of pearls is evenly distributed. It is quite evidently reflected in the name of the dish. Isn’t this extraordinary and special about Lucknow? Not only the food but also the bond of unity between various religions can be seen in Lucknow. You will find Shahmeena Shah, Hanuman Cetu, Cathedral Church and other Holy Places belonging to various religious faiths, coexisting in Lucknow. You will also see equal happiness among the Lucknow people when any festival falls. We love to say, ‘Hum Fida-e-Lucknow’, for the same reason. Build by the Nawab of Oudh or Awadh, Asif Ud Daula, Bara Imambara is also referred to as the Asif Imambara. It was built in 1748 and was one among the last monuments, which was built without the use of Iron in it. It was built in and was one among the last monuments, which was built without the use of Iron in it. It is said that the materials used in the construction of Bara Imambara were rice, dry fruits, husks pulses, and other edible materials. Isn't this among the fascinating things about Lucknow? 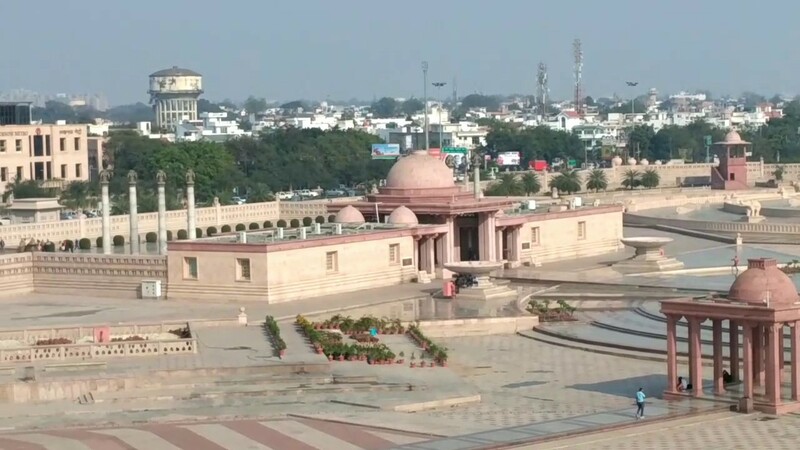 Though the name given by Shri Mayawati is too long, the Lucknow city calls it Ambedkar Park. 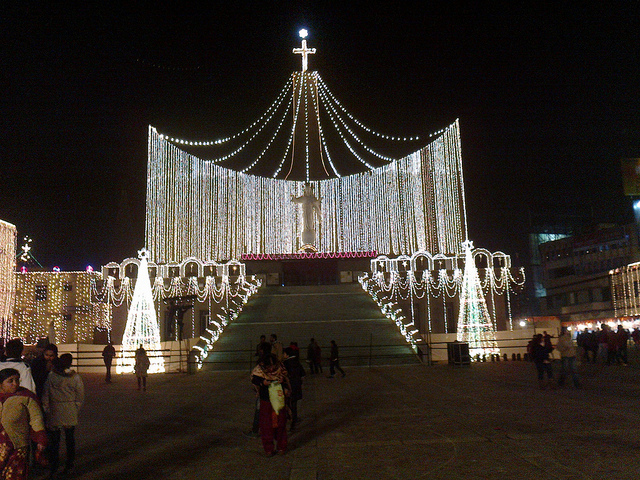 It is one of the recent constructions in the Lucknow city, which has earned fame as a popular film destination. This park is too beautiful to be left unexplored by the tourists and film directors. It is situated in Gomti Nagar and also has a museum in it called the Dr. Bhimrao Ambedkar Samajik Parivartan Sangrahalay. Bollywood loves this location for shooting films sequences and songs. Many songs that are a part of Hindi films - Youngistaan, Shadi Mein Zaroor Aana, and Daawat-e-Ishq, have been captured in Ambedkar Park. Also, the song Laal Dupatta (Mika Singh starring Urvashi Rautela) has the popular Ambedkar Park of Lucknow in it. So much limelight! Another thing about Lucknow that makes us proud! Built by Nawab Saadat Ali Khan II, the Residency Complex was the residing place of the British officials, who were representatives in the Court of the Nawab. It witnessed the historical revolt of 1857, which resulted in its ruin. Yet, it is an important building to remind us of the sacrifices and struggles that India has made to attain freedom. The walls of this monument have scars of bullet shots and blood stains till date. Though there are rumors of ghosts and spirits being found in there, one can literally feel the freedom struggle by being there. The Lucknow Residency building is protected by the Archeological Survey of India, as a heritage site. This contribution of Lucknow to India’s heritage is a proud thing about Lucknow. The Clock Tower of Lucknow is the tallest of all Indian clock towers. The Clock Tower was built in 1881 and was dedicated to Sir George Couper. Sadly, it was out of function after the British left India. However, with the efforts of some of the residents of Lucknow, it has been restored recently. It has given the Lucknow residents another reason to be proud of the Nawabi city. The Clock Tower of Lucknow is a perfect sample of the artistic beauty possessed by the English. It was made in the traditional Gothic or Victorian style. It was a replication of the Big Ben of London. The city of Lucknow is unique in all aspects. These were only some of the many special things about Lucknow. The city of Nawabs is much beyond this. The Lucknow city has preserved its history well while blending with the modern era. No matter from which corner of India you come, Lucknow feels like home. And if you spend some days in this amazing city, you will find that Lucknow is not easily forgettable.